The Ski Home subdivision is a small group of homes built above town on the ski-hill side of the valley. Located just below the base of Peak 8, the Ski Home homes for sale are on Four O’clock Run Road, a block downhill from the ski runs and a block north of Four O’clock Run. It's a five minute drive to the center of town from up in this neighborhood, and a quick downhill walk or ski along Four O’clock Run, an unpaved trail in summer that is groomed, and maintained as ski run, a gentle continuation of the ski slopes, in the winter. Keep reading about the history of this small neighborhood, or start your search with the Ski Home real estate listings below. A few local contractors built the first homes in the Ski Home subdivision and each one was custom construction usually for families or second homes. Down the hill, closer to town, developers were building condos, and maintaining 4 O’clock run all the way to town. From any home for sale in the small Ski Home subdivision, resident can take advantage of this run and the close proximity to the base of Peak 8. The area has recently seen new development in nearby, high-end subdivisions like Timber Trails and Boulder Ridge. Custom built homes with garages are the norm in this neighborhood, which has a suburban layout with home facing the road in a regular pattern. Two of the lots abut the ski run, and share a common drive with a third lot. Size: 2806 sq. ft. to 9857 sq. ft. 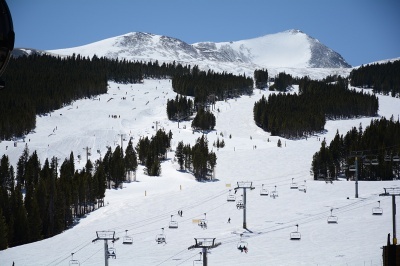 Amenities: close to the bottom of Peak 8, in town, on 4 O’clock run, bus route, near skiing, Breckenridge Nordic Center. From the center of Breckenridge (main stop light on Ski Hill Road) take Ski Hill Road to (Four O’clock Run Road) CR 708, or what will turn into Timber Trail Dr. Turn left onto this road, and the Skihome Breckenridge subdivision will be the first seven homes on the left. Are you ready to get started on your home ownership journey in Breckenridge? Get in touch today!